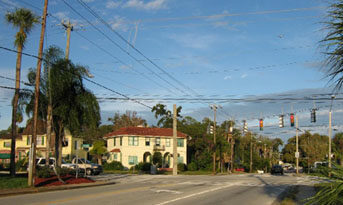 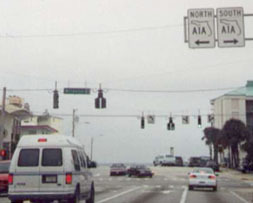 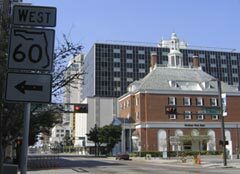 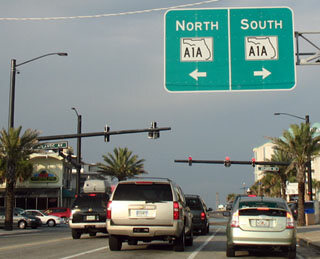 Today Kennedy is one-way westbound (eastbound FL 60 uses Jackson Street, one block behind the camera). 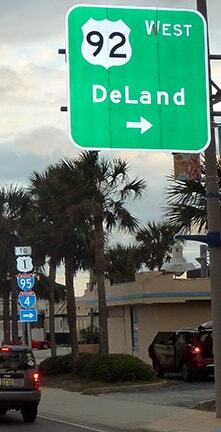 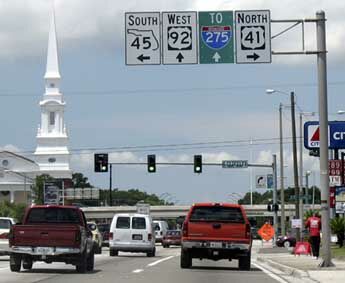 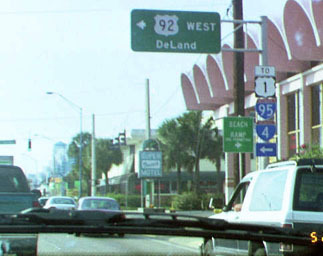 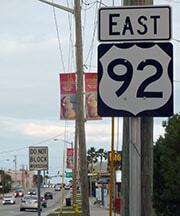 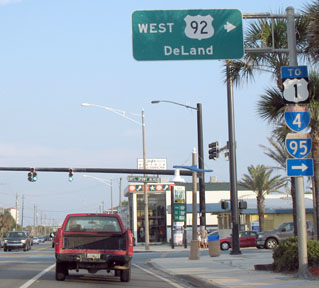 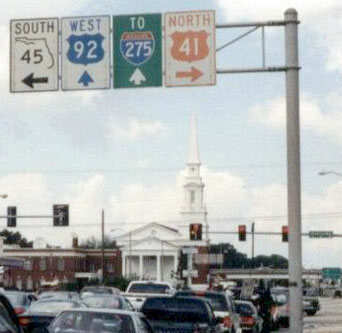 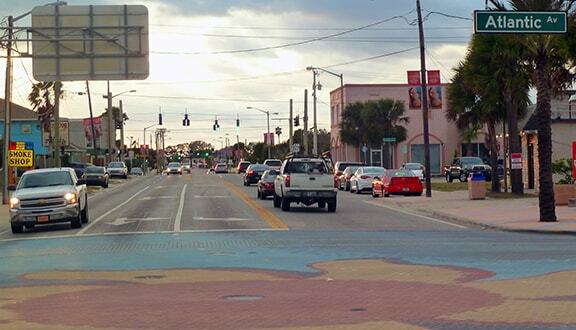 Straight ahead on Florida was once the west beginning of US 92. 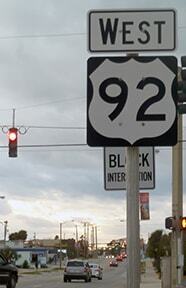 The west beginning of US 92 was straight ahead. 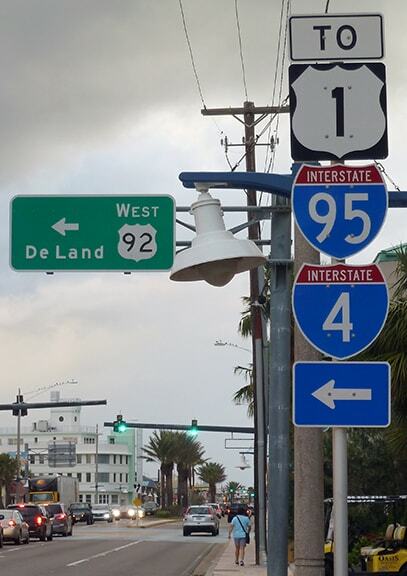 I have seen a few maps which suggest that the US 92 designation was extended west from Tampa, ending at its junction with US 19 in Dunedin and/or Clearwater. 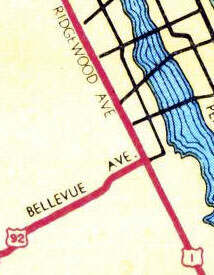 This would have been sometime between the late 1930s and late 1940s, but the majority of maps I have seen do not corroborate this extension, so until more evidence is uncovered I am uncertain whether it really happened. 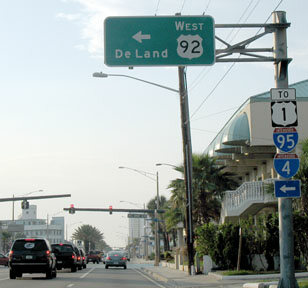 However, it is a certainty that it was 1953 when the US 92 designation was extended southwest over the bay to its current terminus in St. Petersburg. 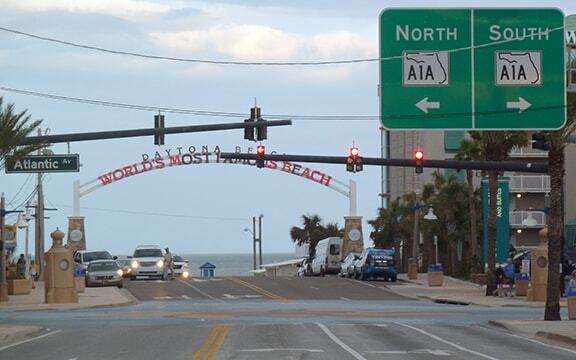 last updated Feb. 18, 2019.